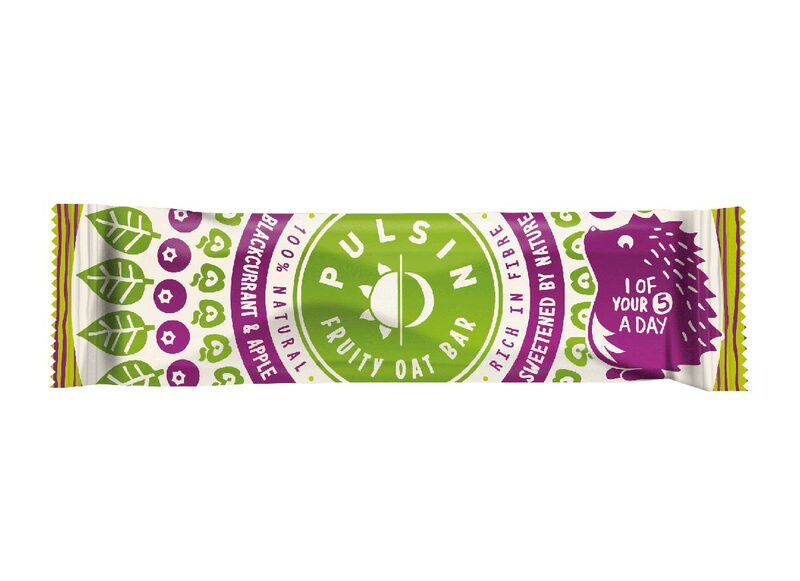 Pulsin’s deliciously wholesome blackcurrant and apple fruity oat bars are packed with gluten free oats, real fruit and natural ingredients, making them the ideal snack for on the go. Containing a blend of gluten free UK oats and real fruit, these fruity oat bars are designed to count as 1 of a child’s 5 a day and the funky packaging is an ideal way to brighten up lunch boxes. Plus, with 1/3 less sugar than the average kids’ fruit snack* and high in fibre, this range makes the perfect healthy alternative to other lunch box snacks. Dates, Gluten Free Oats 26.5%, Chicory Fibre, Cacao Butter, Apple 6%, Date Syrup, Blackcurrants 4%, Raisins. May contain nuts & peanuts and may contain traces of date pits. *based on survey sample of kids’ fruit snacks in 2017.